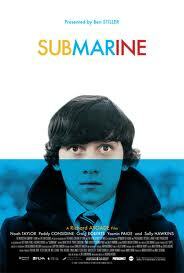 Submarine, a film by British director Richard Ayoade about young Oliver Tate coming of age in Wales, is hard to review. The film is so dense – packed with great visuals, music, themes, terrific performances, and humor – that I worried that I wouldn’t fit everything I wanted to talk about into my review (and I didn’t). The movie reminds me of a Wes Anderson film, if Wes Anderson was foul-mouthed and had a big mean streak. The film starts out with a note from Oliver, which mentions that he’s grateful that the U.S. hasn’t invaded his country yet. Right there I knew that the film was going to be funnier than I’d expected. The greatest thing about the film is the cast, most of all Craig Roberts as Oliver. I found myself trying to explain to a few people some of the jokes, and realized that part of it just has to do with him. Which is something that should technically be true of any comedic performance I guess, but hey, Roberts is very funny. 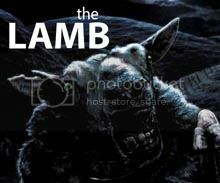 The movie essentially concerns Oliver’s discovery of himself, a plotline lectured upon by one of his teachers near the beginning of the film. But the movie is also all about relationships – Oliver’s budding relationship with a classmate named Jordana and the dissolution of his parent’s marriage. The title of the film refers to these relationships. Oliver compares people to submarines, pointing out that we’re all sort of cruising around under the surface, and we can’t really look inside anyone else to see what’s going on. The philosophy opposite to Oliver’s comes from his “psychic” “ninja” neighbor Graham (played by the awesome Paddy Considine), who seems to say that we all sort of give off light and radiate color. “We don’t want to be in the dark,” Graham says at one of his new-age psychic lectures. His philosophy definitely conflicts with being under dark water like a submarine, invisible to everyone else. Graham’s color philosophy isn’t the only thing about him that conflicts with Oliver. You see, Graham used to date Oliver’s mother, so when he moves in next door, it definitely ups the tension in our young protagonist’s parent’s marriage. This sort of acts as a counterweight to Oliver’s own relationship, as he has to juggle trying to protect his parent’s relationship while cultivating his own. All of this plays out in one of the film’s most meaningful scenes and it has a big impact on Oliver and the rest of the movie. The film is pretty “meta”, which I enjoy. Oliver narrates the whole movie, and it may be one of the best examples of the technique I can think of. We see Super 8 footage of Oliver and Jordana, seemingly coming from Oliver’s brain. Oliver’s dad gives him a mix tape for his relationship (Arctic Monkeys Frontman Alex Turner actually did the soundtrack for the film). Like I said, I wasn’t expecting the film to be as funny as it was. Simply the characters and how they interact is hilarious, but there are so many odd, funny moments that result from Oliver, his family and friends, his courtship attempts, and his misadventures. The film is actually produced by Ben Stiller, something I wasn’t aware of until I got to the theater (he actually has a very brief cameo as well). But although the film is hilarious and quite dark at times, it finds so many ways to be touching and kind of heartbreaking. It’s a great story of growing up and the grime along the way. A Christmas dinner scene involving Jordana’s family tugs on the ole heartstrings, and a tiny subplot about a girl that Oliver picks on at the beginning of the film to get close to Jordana was quite sad. The film and its ending were really satisfying for me. The conclusion told me that, although we’re all submarines, sometimes we stop short of going under all the way. gained that same level of confidence.